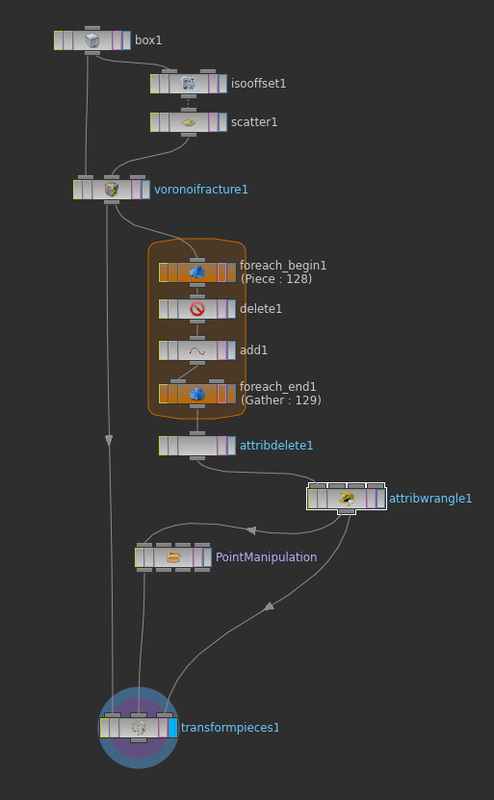 This is probably now one of my all time favourite nodes in Houdini: “Tansform Pieces”! For the next project I’m doing some research on how to move poly islands effectively. I started doing my own stuff, but than I came across the Transform Pieces node, that does the whole job for me! Great!